Thank you for visiting the web site of One Off Contemporary Art Gallery. One Off is perfectly situated in Nairobi, Kenya, to take advantage of the blossoming of interest from the international art markets in works from East Africa. I started the gallery in 1994 and subsequently ‘moth balled’ it from 2000 to 2009 whilst l co-founded and worked as the director of RaMoMA (Rahimtulla Museum of Modern Art). When I resigned from RaMoMA in 2009, it was an obvious progression to re-open One Off. The gallery aims to represent some of the most established artists in Kenya, many of who we represent exclusively, along with associate artists from Kenya, Uganda, Tanzania, Sudan and Rwanda. Many of them can be seen in the picture on the left. 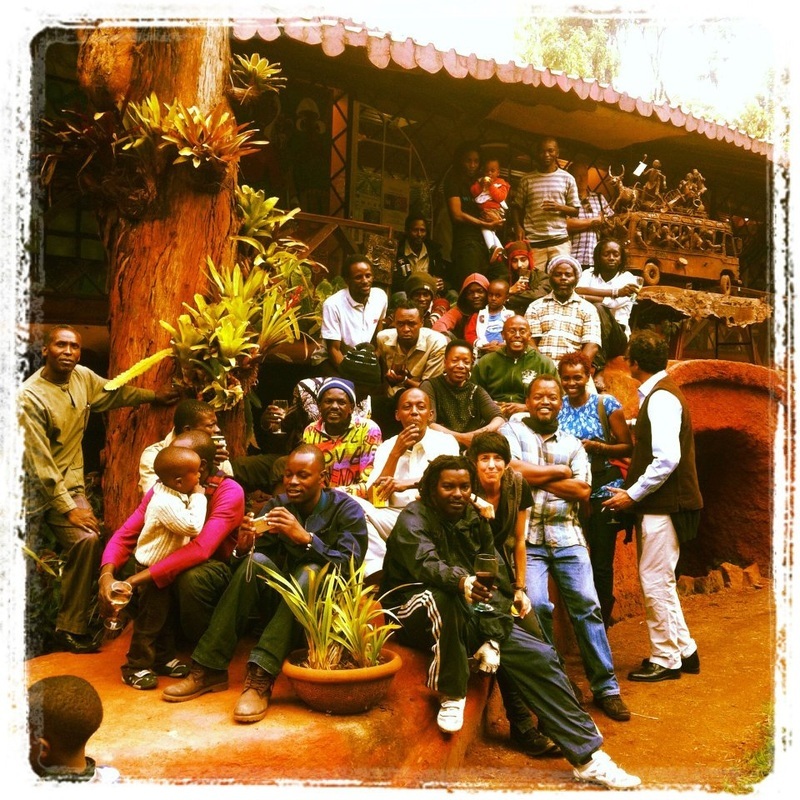 In September 2011, Departures Magazine, listed One Off Gallery in their ‘black book’ of the ten best things to do in Nairobi: “on a gorgeous five acre property you’ll find work by Kenya’s more established artists”. Indeed the gallery aims to display works of a more sophisticated nature than the usual tourist artefacts which have up to now been the expectation from this region. If only a virtual visit is possible, please join our mailing list to receive updates of new works in the gallery and invitations to our monthly exhibitions, but if you are in Nairobi, please take a little time to visit us in person. You’ll need time to sip tea or coffee on the gallery balcony and to enter into a conversation which should take advantage of our twenty years in the business of selling Kenyan art.